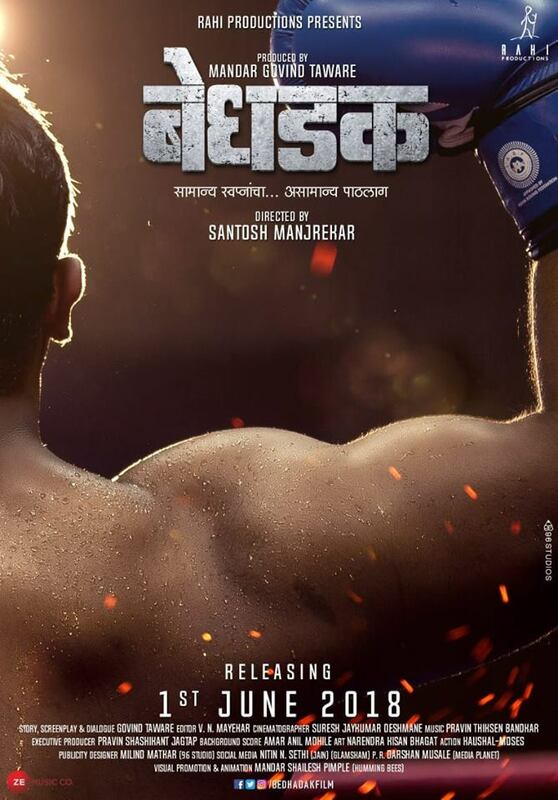 "Bedhadak (बेधडक)" movie releasing on 01 June 2018 story revolve around boxing, starring debutant "Girish Taware", film story is written by Govind Taware, directed by Santosh Manjrekar and produced by Mandar Govind Taware under the banner Rahi Productions. Synopsis: The story revolves around a student who isn’t academically brilliant but excels in sports but his father isn't pleased with this. He then gets inspired by boxing and tries to turn his life around with keeping the sport in the center but has to overcome various odds and difficulties both at home front and outside to achieve his goals.